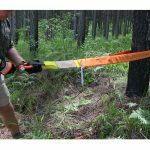 The Bush Company Tree Trunk Protector, sometime referred to as a rigging strap, is 5m in length, has a rated breaking strain of 10,000Kg and is made of nylon webbing, specifically designed to be non-elastic to handle the high capacity of winch pulling. . 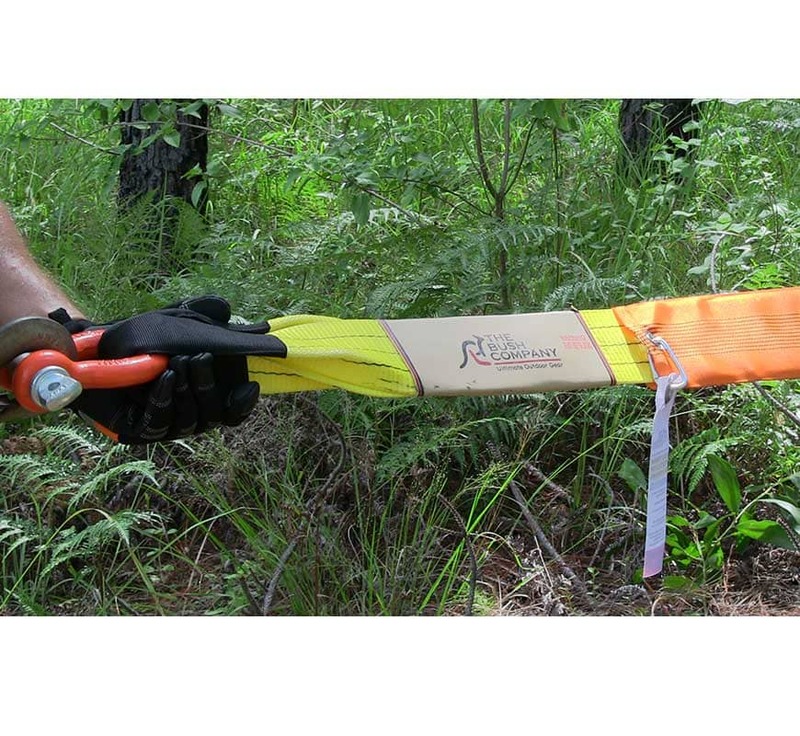 This strap is designed to rig your winch line to a solid object, such as, a tree. 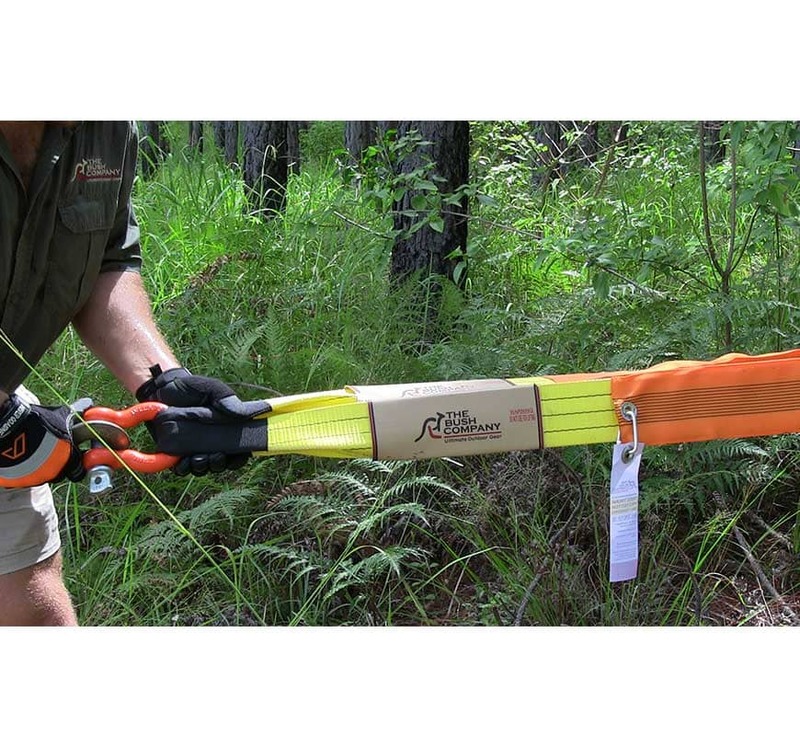 You’ll need a D-shackle or clevis attached to the looped ends of the strap together and attach your winch hook. 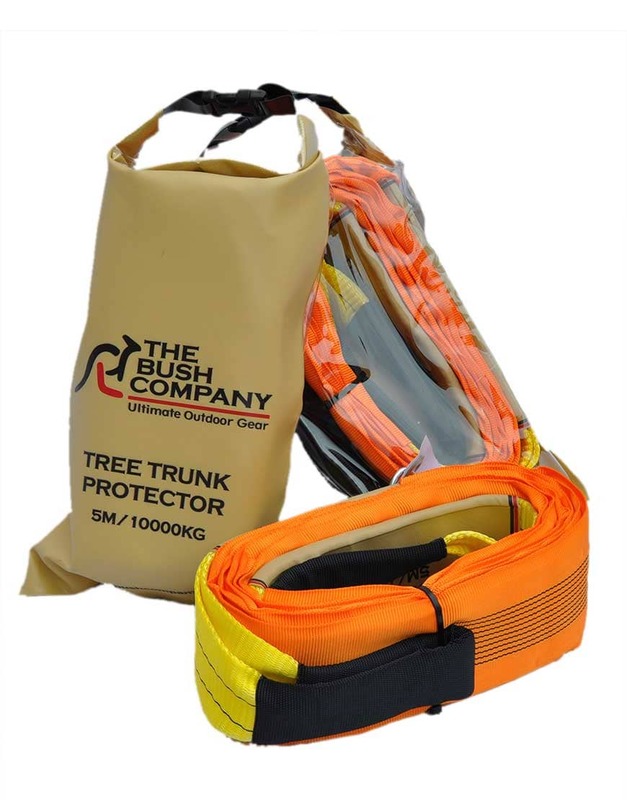 The Bush Company Tree Trunk Protector, sometime referred to as a rigging strap, is 5m in length, has a rated breaking strain of 10,000Kg and is made of nylon webbing, specifically designed to be non-elastic to handle the high capacity of winch pulling. 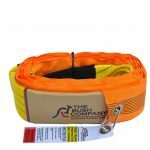 The strap is fully sheathed to protect it from chafing during use. 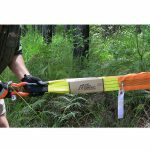 This strap is designed to rig your winch line to a solid object, such as, a tree. 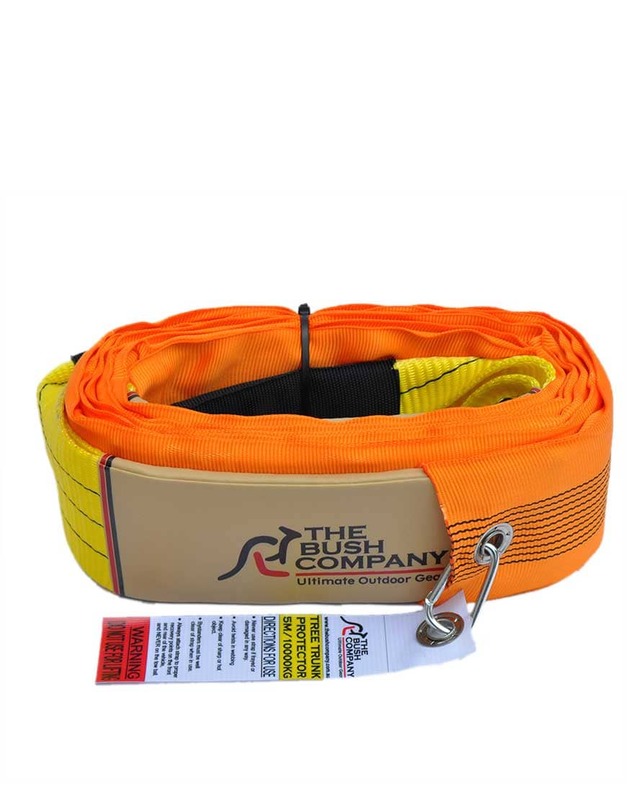 You’ll need a D-shackle or clevis attached to the looped ends of the strap together and attach your winch hook. 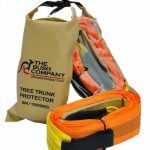 As the name suggests, the Tree Trunk Protector helps protect a tree you’d be using as an anchor from damage by the winch rope. Using wire rope directly on a tree trunk will damage the tree and possibly kill it. 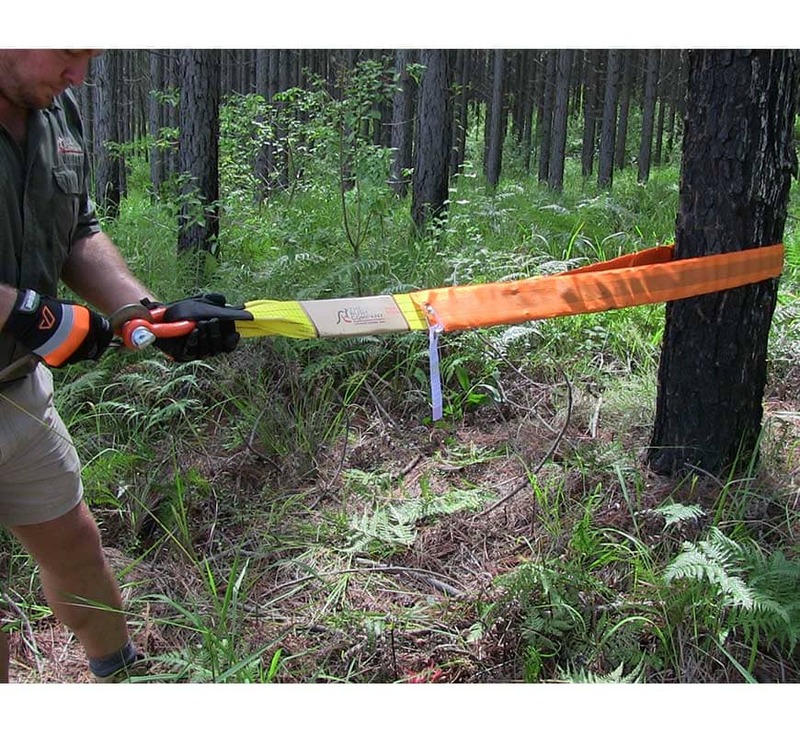 However, tree trunk protectors aren’t just about tree preservation, they’re about safety. 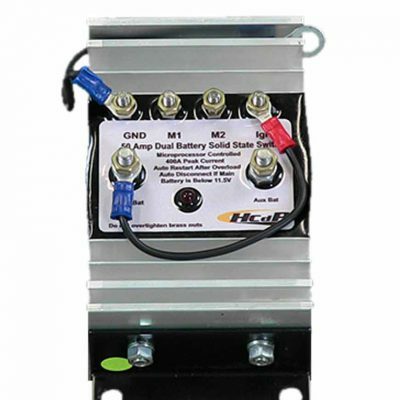 You NEVER, ever want to wrap a winch line around any anchor and hook the line back onto itself. 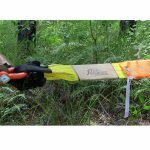 This is a dangerous practice that can lead to rope failure, and that is obviously a very bad thing.